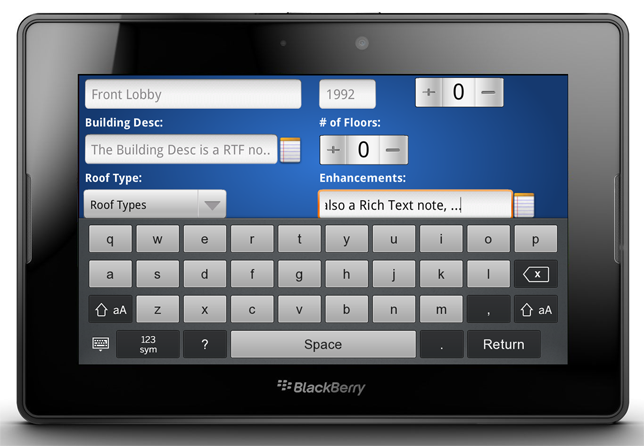 February 1, 2010: foAudits announces our Blackberry Playbook (tablet) version for Lighting, Energy and Water audits. Flash 10.1 support, so that you can use it as you actually want to. along the (active) side bezels -- to perform functions such as opening and closing applications. Copyright © 1998-2019 Fundamental Objects, Inc. All Rights Reserved.